A couple weeks ago I told you about Becky and how Grandpa had stuffed her full of food that we had to pull out before taking the car home. Mostly canned food, but there were a few fresh items that we took back with us. The lemons, the blueberries, and the fresh pineapple. There was so much going on at the time that upon returning home, the pineapple sat in a sack on the floor, forgotten, for two weeks. 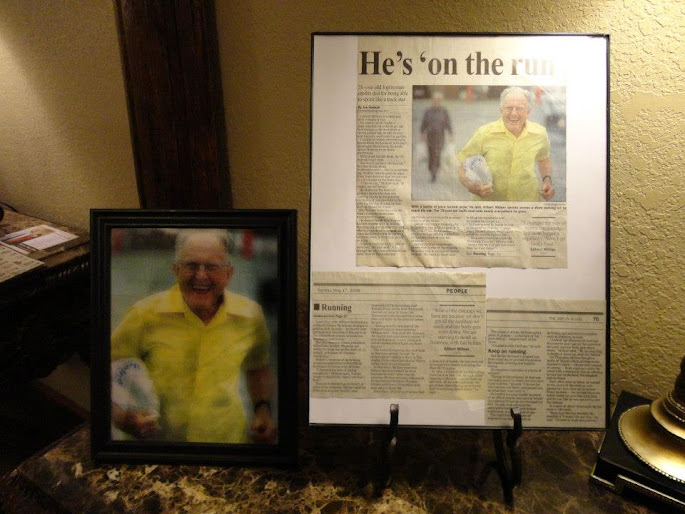 Grandpa ran everywhere until his last two years, and it got him in the local paper in 2009! We picked up Becky on March 2nd, Grandpa’s funeral was March 9th and a week later, on March 16, I ovulated. Yeah, when you’re a woman who really wants kids and has spent years and years waiting for one, you keep track of stuff like that, and more. :) So there I was, another month, another day of ovulation, another two weeks of restless hopefulness awaiting me, even despite my stressful month and grief, and I had this supremely ripe pineapple from my Grandpa that I’d almost forgotten about. But ovulation triggered my memory and I dug it out of its sack and sliced into it. 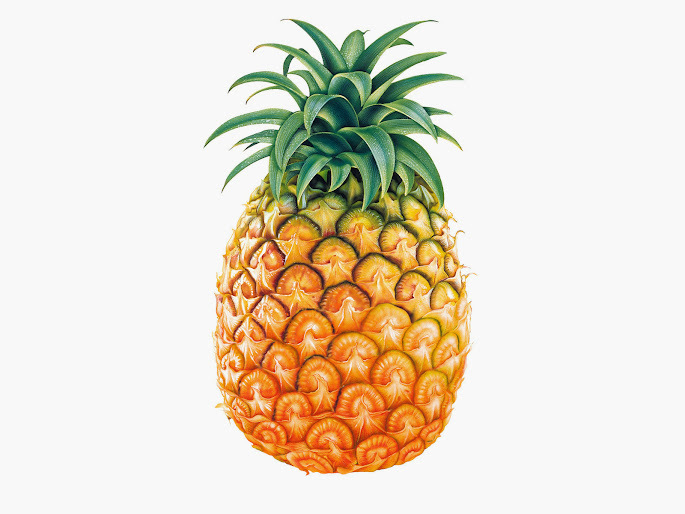 It is fairly well known among the baby-desperate (as are many tricks and aids for conceiving) that pineapple can help a fetus implant in the uterus, as it softens the lining. Have you ever eaten so much fresh pineapple that your tongue bleeds? Dennis loves pineapple so much that he has developed his own rule for when to stop eating it–when you start to see blood on the pineapple you’re biting into (lol). That’s an enzyme in the pineapple called bromelain, which essentially softens up tissues, which also happens to help prepare the uterus for a baby if there was one created that month. 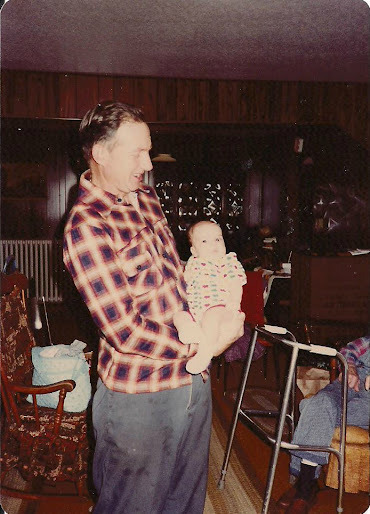 Grandpa holding me as a baby, 1980. 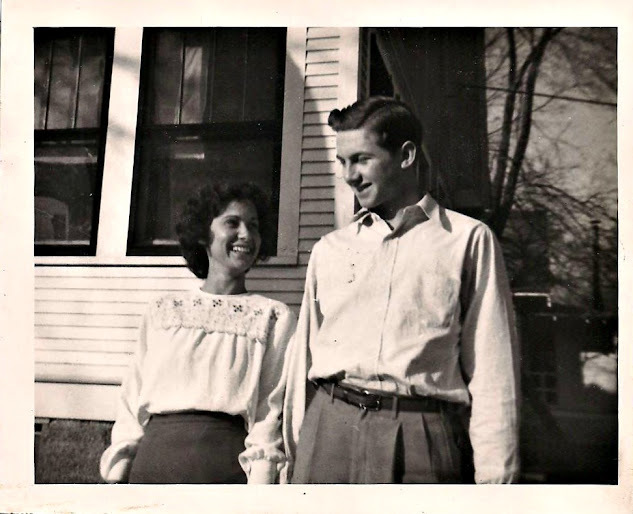 Grandma and Grandpa in love, circa 1950. The highest concentration of bromelain is in the pineapple core and you’re supposed to eat a slice a day, including the core, for the first five days after ovulation. It had been a long time since I tried this trick and forgot about the five day rule and continued eating it for seven days. On day eight, while we were at our evening church service, I experienced mild uterine cramping, similar to what I usually feel at that time of my cycle as my body begins to prepare to shed the lining because there is no baby. As I sat in church with that feeling, it was strange, but while I did feel a little disappointed, I felt more hopeful than anything else. Well I guess it isn’t strange, I always had such incredible hope that surpassed any realistic expectations I should have had after thirteen years. But I had this cautiously happy feeling in my heart, wondering if maybe, just maybe, there was a baby settling in and that’s what I was feeling. The circle of life. Pain. Grief. Beauty. Incredible joy. 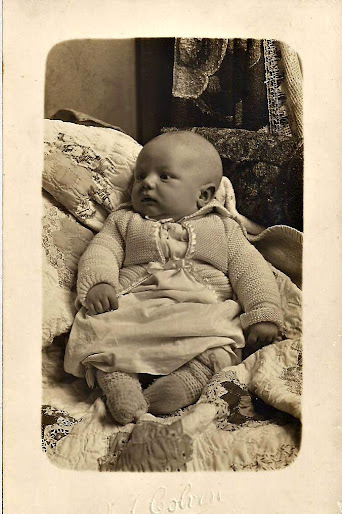 Loved this post and the pictures of Grandpa through the years. Wow! that’s about all I can say, “WOW!” That is an amazing story. I didn’t know that about a pineapple and the womb. Sometimes when things that powerful happen, I really feel very strongly the presence of God. I have no doubt that God was at work in those moments. And I am so very happy for you. Glad to see a post too because I think about you often and continue to pray for you. Sounds like so far so good. Congrats again to you! God is good! Your story gave me goose bumps and made me cry! I did not know this about pineapples”! I will definitely share your story! By the way, I am an avid genealogist so if you ever need a hand putting a family tree together to go with your grandpas’s legacy, just give me a hollar! how beautiful. so excited for you! Oh V, this brought tears to my eyes – tears of joy!! “The circle of life. Pain. Grief. Beauty. 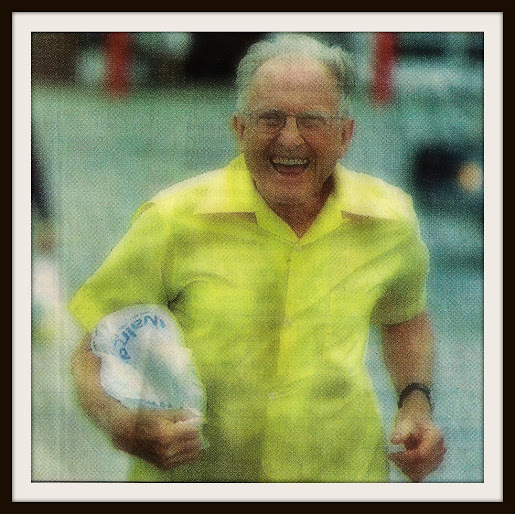 Incredible joy.” – AMEN! Wow! This is so special! I can only hope that I have a similar story in my future. We just lost a member of our little family and hope that there is a new life in our near future! I have seen and heard of these things happening. My nephew was born/adopted into our family a week after my brother in law unexpectedly passed away. A family grieving became a family that was still hurt but also rejoicing over new life. It’s capital ‘M’ Magic. That circa 50’s pic is so romantic and classic. Love the feel and emotion of this post. Lovely, V!! I just love the photos with your family! They are so sweet. Oh my gosh, Veronica…I’ve got CHILLS running all over me! I’m SO happy and excited for you! Congratulations, and may every day hold a blessing for you! That is such an amazing story, God works in interesting ways. So sweet Veronica, your Grandpa would be so pleased Im sure! That is so awesome, I never knew that about pineapple! 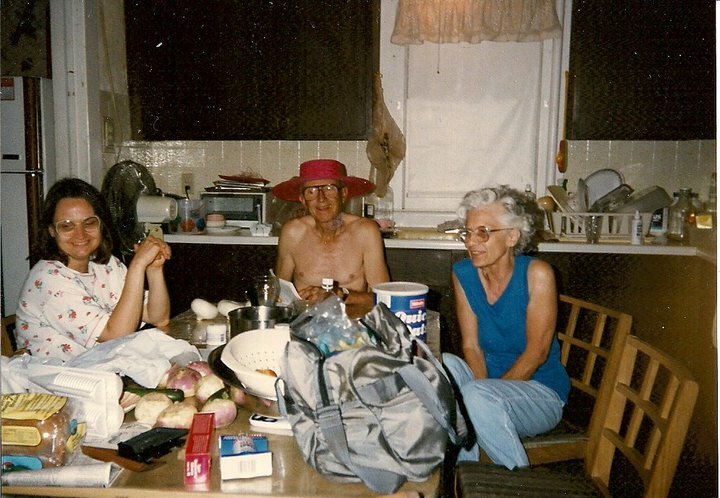 I love the picture of your grandparents from 1950, such a great photo. Continued congratulations! Beautiful post. Things always work out. Out of grief comes something beautiful. I’m sure your grandfather had some part in this!